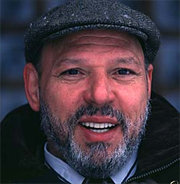 August Wilson was born in 1945 to Frederick August Kittel to Daisy Wilson and Frederick Kittel. Among his many achievements as a playwright, August Wilson was the author of a ten-play cycle chronicling the 20th century Black American experience. The cycle included the Pulitzer Prize winning plays Fences and The Piano Lesson. He died in 2005 of liver cancer.